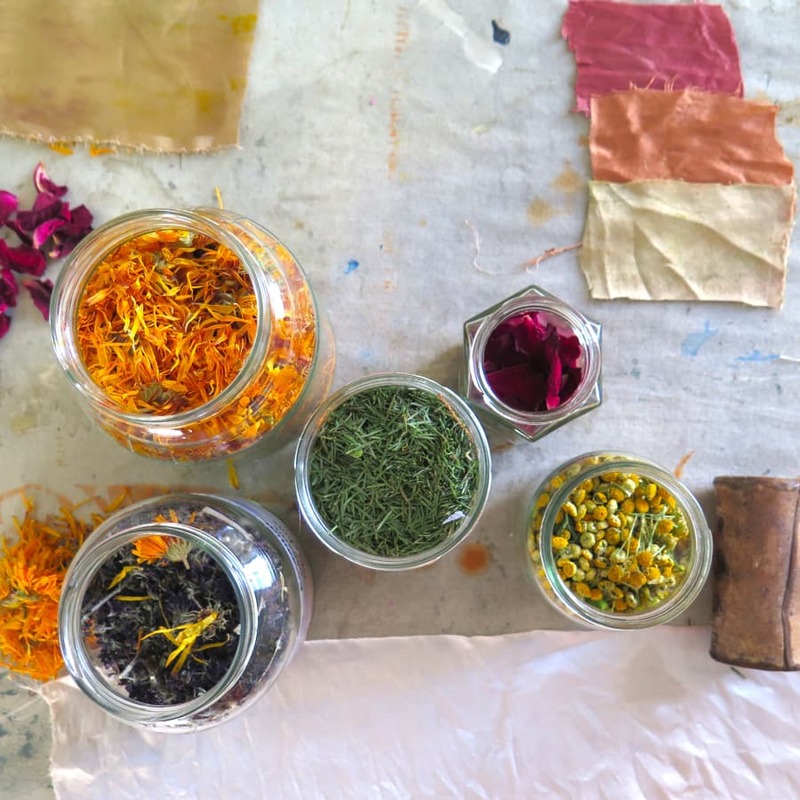 Discover the flowers, leaves, roots, and barks growing all around London, that can be used to create natural dyes and colour. Even in London, there are plants we can use creatively all around us. 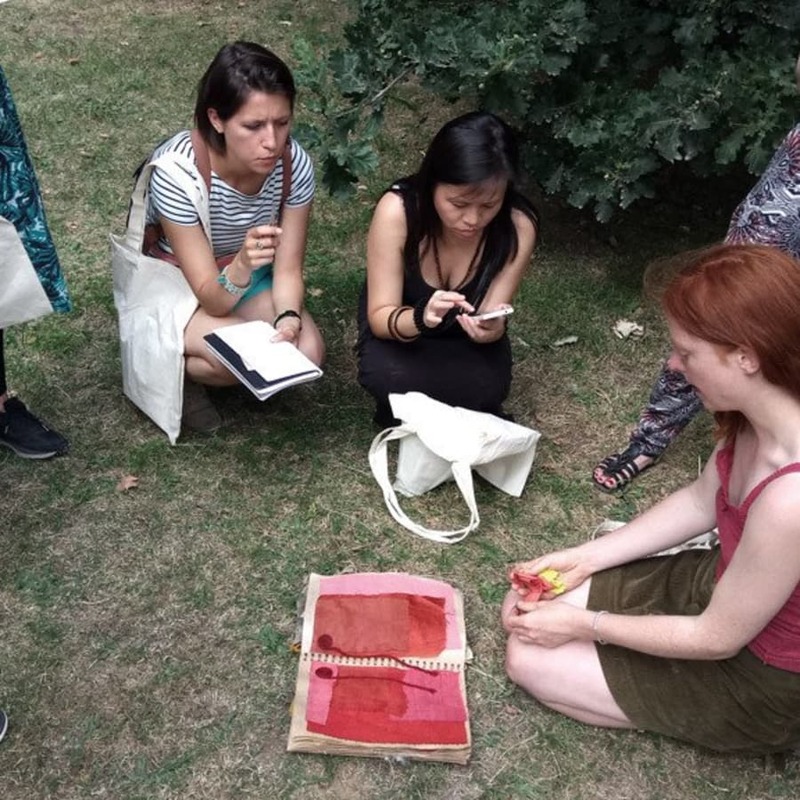 Join natural dye expert, Flora on this guided walk, where you'll learn how to identify and harvest natural dye plants, as well as some edible and medicinal plants that grow all around us. She'll share how best to harvest wild plants, and how to spot good places for gathering. This is a wonderful way to explore the green side of London and the secrets of the plants around you! There's no need to use chemical dyes and washing machines to create colours on fabric when you can use natural foraged materials. 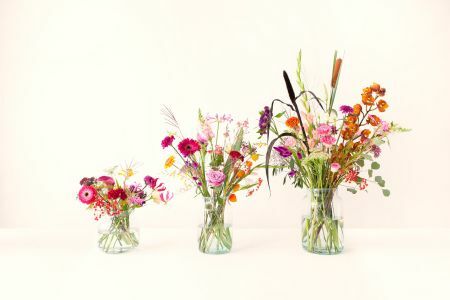 Flora creates beautiful colours using nothing but plant based dyes and mordants (fixatives). Natural dyes are dyes or colorants derived from plants, invertebrates, or minerals. 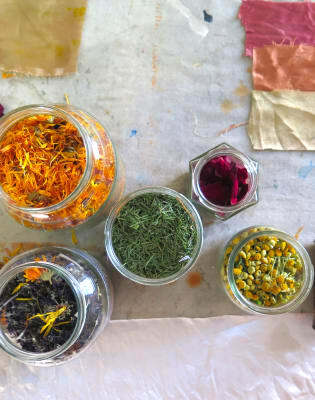 The majority of natural dyes are vegetable dyes from plant sources-roots, berries, bark, leaves, and wood-and other biological sources such as fungi and lichens. 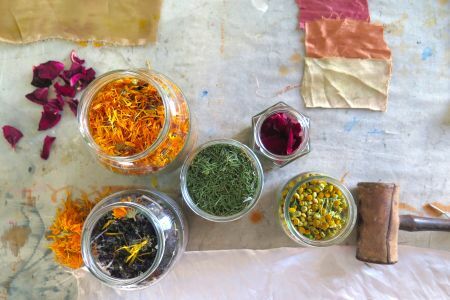 A really informative couple of hours on natural plant dyes, both suitable plants and basic techniques. Flora really knows her stuff. 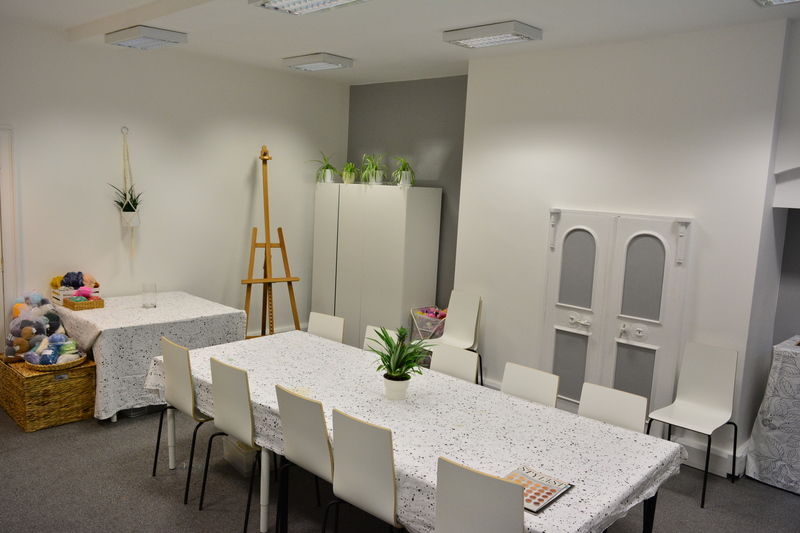 The only slight disappointment was that the sale of the workshop implied that we would actually be foraging, and we weren't, just walking around the park having plants pointed out to us. Very informative and inspiring. Especially the tips on natural ideas for mordants instead of the poisonous chemicals that are often used and promoted. A really interesting walk covering a lot of plants. It was also really useful to see examples of dyed fabrics and what to expect. It would have been nice to have a bit more information in the booklet as it was minimal. Flora was very knowledgeable about the flora and fauna around Battersea Park and had brought some naturally dyed wool and fabric samples from a huge variety of plants. We didn't do any plant foraging though which was the impression I had from reading the event information prior to the evening walk. 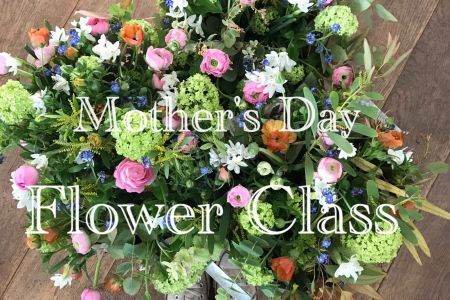 Your ticket includes: a 2 hour guided walk led by Flora, a set of illustrated colour notes to take away with you, a cotton tote to collect plants and carry your bits and bobs. This walk will be in Battersea Park. We will send you the location of the meeting point a few days before the walk and we'll have a flag so you can spot us. This is an outdoor activity, so please choose sensible footwear and check the weather when you decide what to wear!